We just got off from our amazing trip in the off-the-beaten path South of Palawan, Port Barton, San Vicente Long Beach, and the very popular El Nido, Palawan. We were so excited to see what Coron Island has to offer and, man, we were totally blown-away by the beautiful island, perhaps beating El Nido on our list. My drone videos of Coron Island have also become some of my best and my aerial photos the most popular in my portfolio. 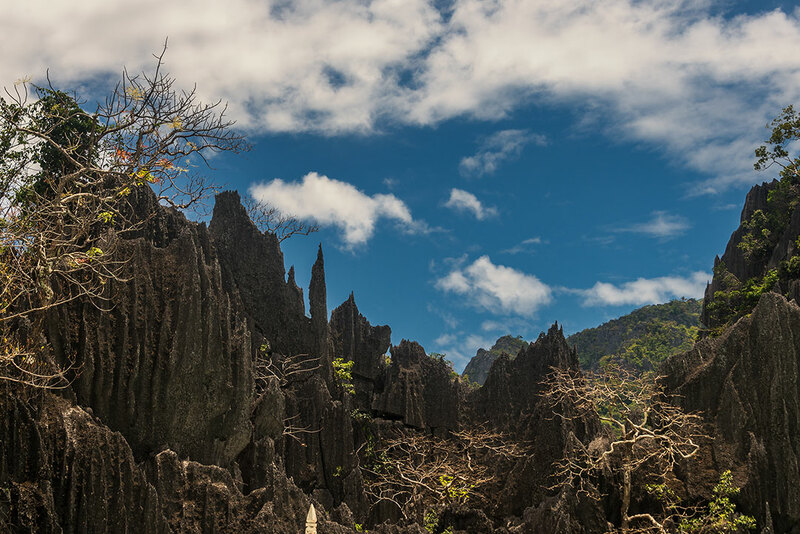 Coron is an island located in the north of Palawan gifted with dramatic landscapes. Especially Coron Island shouldn’t be missed when traveling to the Philippines! The stunning limestone cliffs that form the island hide charming lagoons and picturesque lakes that boast very clear waters. On other parts of the island, there are small fine, white sand beaches whose backgrounds are the towering limestone formations. The coral reefs are healthy and teeming with aquatic life. Don’t forget the World War II shipwrecks that are scattered at the bottom of the sea surrounding the island, which make Coron one of the best places in the world for wreck diving. This travel guide to Coron will show you things that you can do. The best things to do in Coron are definitely out in the sea. Island hopping and diving are the main activities. There are plenty of agencies in the main town that offer tours (p900-1500 pp) to 5-6 of the 14 spots on Coron Island. They usually offer Tour A and B. Some agencies offer highlights/ultimate tours, which take you to the best spots in Coron. Groups are between 6 to 15 people. The payment includes lunch on one of the beaches. It may or may not include entrance fees which could cost up to 600 pesos each for all the sites, Kayangan being the most expensive. Is it worth it? Definitely! With just the two of us on the boat plus the 2 boatmen and the guide, we were able to decide what we wanted to visit, and for how long we wanted to stay. The guide knew what times were quiet and what times were busy, so we avoided the big crowds. Coron as a popular tourist destination can be very, very crowded. Many tour boats follow the same route, so figure.. Needless to say, we were able to enjoy the lagoons, the lakes, the wreck, and the beaches for ourselves for a long time before it got crammed with other sightseers. Twin Lagoons –The main entrance on another part of the lagoon where you have to climb through narrow pass lined with limestone rock formations along with quite a number of tourists. Our guide Myer was kind enough to lead us to another entrance to the lagoon. Snorkel your way into the other side of the twin lagoons. Not only was it not busy at all, it’s a great way to observe the aquatic life with so much disturbance from visitors. Snorkeling on shipwrecks – There’s only a few wrecks that you can see while snorkeling. The ship, which used to carry passengers during its era, is now 4 meters below the sea, swarmed with colorful fishes and corals. Barracuda Lake – one of the 7 lakes in Coron, Barracuda Lake is hidden away from the sea by stunning limestone formations. You get into the lake through a very narrow pathway through the limestone cliffs. Again, we were lucky to enjoy it for ourselves. The lake is very clear that you can see through a couple of meters below the sea. The bottom of the lake has vents that give off warm water. We visited the lagoon again during our diving trip, there were hundreds of people and the pathway was completely blocked with them. Snorkeling at the marine sanctuary – the Coron sea is gifted with healthy aquatic life. Here you’ll find numerous colorful fishes and corals. Definitely one of the best things I’ve ever done. Dive in and out of the eerie but beautiful World War II shipwrecks, decorated with corals and surrounded. Sign up with Corto Divers (you’ll get to use their resort pool for free!) or with Neptune Diving Center. Rocksteady is very popular, but often full days ahead. Some wrecks are only available for those with Advance Open Water certification; they are the best ones though. Spend a few days in Coron if you want to see more of the wrecks. There are more than 10 wrecks in Coron; a day is definitely not enough as most of the times they only do 2-3 dives a day, depending on how far away you go. When you’re not out island hopping or wreck diving, Cabo Beach offers its golden sand beach and cool water, located 15 minutes east of Coron town. It’s the closest beach to swim in Coron town. Not a lot of tourists there since most are out on tours. 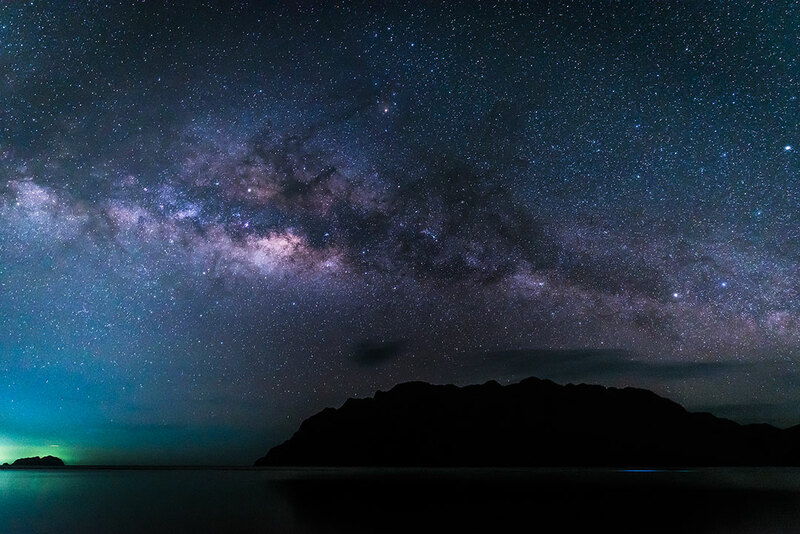 At night, the Milky Way is clearly seen from the beach (April to September). Nearby is the Maguinit Hot Spring and the lighthouse. In the northwest corner of the island is the Calauit Wildlife Sanctuary, where you can see zebras, giraffes etc. It’s about a 2,5 hour ride and requires a 10 minute boat ride. 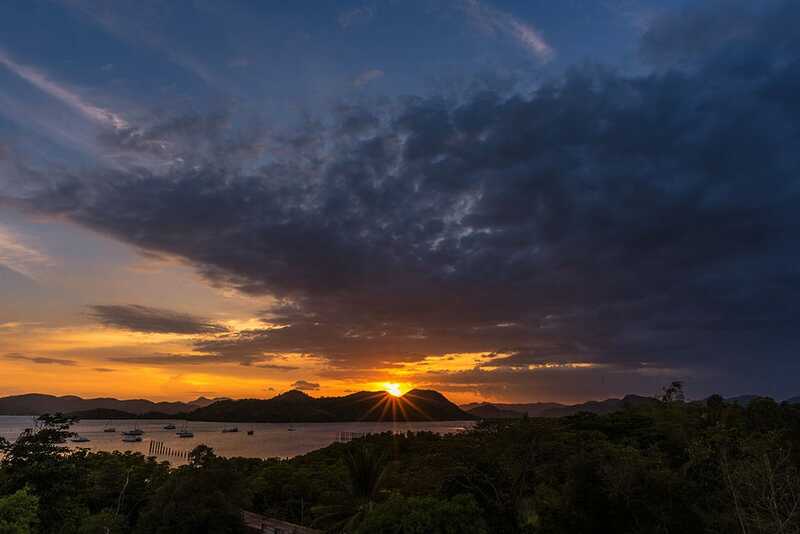 Along the way you’ll pass the gorgeous Busuanga Bay, see here below. There are ferries going from El Nido to Coron daily. There are two options: The Slow boat takes you to Coron in 9+ hours for 1300 pesos; the Fast boat (Fastcraft) takes you there in 4+ hours for 1750 pesos. We opted for the fastcraft, which seems the safest option. However, the tickets sell very fast, especially in high season. So book ahead if you can. The boat leaves at 6 am daily. There are direct flights going from Manila to Coron daily. However, these are very expensive, a one-way ticket could amount to 7000 pesos approximately. From Manila, 2GO Travel shipping company has ferries leaving for Coron twice weekly, every Tuesday, and Friday. Going from Coron to Manila, the schedule is twice a week as well, every Sunday and Thursday. The trip takes around 13 hours. The ticket price varies daily but could be around 2000 pesos for the cheapest accommodation on the ship. There are a plenty of hostels and high-end hotels. We took a room in Luis Bay Travelers Inn, which was only 600/pesos for a room for two. Don’t forget to bring insect repellents as mosquitoes there could harbor malaria. There were only 2 ATMs that I noticed in Coron town, so withdraw money when you can. Coron is definitely beautiful. It might beat El Nido on my list. There’s so much to see in its waters – limestone cliffs, lagoons, lakes, white sand beaches, shipwrecks! It’s totally worth the visit after your El Nido trip. For the island tour, I’d totally recommend that you have a private tour with a few people on the boat, so that you can thoroughly enjoy and appreciate the experience. And definitely, don’t miss the wreck diving. Have a look at my Coron photos and drone movies at the Portfolio section. Shot from the sky and land. If you’re visiting Coron, you’re most likely visiting El Nido, check out my El Nido blogpost! Hey very cool site!! Man .. Excellent .. Amazing .. I will bookmark your web site and take the feeds alsoâ€¦I am happy to find numerous useful info here in the post, we need work out more steteagirs in this regard, thanks for sharing. . . . . . Thanks Margery! Glad you found it useful! Phenomenal footage there of such a beautiful place in the world. Excellent photography on land, in the sky, and in the sea! Must be even better being there. Thanks for sharing these awesome views of life from your third eye brother, UR awesome!!! I love your movies, they are so well made and the colors are so vivid. It makes me want to book a flight to the Philippines as soon as possible. The scenery, both land and underwater is so amazing! Thank you so much Joanna, yes it is! We are thinking of doing Boracay sometime this year. But really, I loved this post and I am wondering about Coron – just getting confused!… What do you suggest? They are very different, depends what you’re after. I won’t ever be going back to Boracay, not my place, too busy, all about beachbumming, activities and partying. But the beach and water are gorgeous. I’d recommend Coron above most other places. Coron looks gorgeous, and it seems like there are a lot of adventure activities to do there, which I love! I’ve still never gone scuba diving but would love to try it! Wreck diving in the Philippines would be an awesome place to learn how to dive, albeit a bit intimidating. I haven’t made it to the Philippines yet but hope to one day, and Coron will be on my list! Thanks, Coron is gorgeous. You should try diving, it’s awesome. Wreck diving there was one of the best things I’ve ever done! I’ve never heard of this place before! Beautiful photos!!! Such a beautiful island. Sadly I did get there when I visited Palawan but after reading this it’s not on priority place number 1!!! That is a very nice article. I have heard about Coron Island and how amazing it is. Now it makes me want to go even more. Beautiful photos and amazing videos, the best I’ve seen so far! I’m not much of a beach person but reading your post makes me want to be there now! Philippines looks absolutely gorgeous. I would love to visit it one day. I almost had the chance while I was doing a working holiday in Australia to fly there, but then had to fly home unexpectadly unfortunately. Ahh that is too bad, but you have something high up your bucketlist now. The country has a lot of nice landscapes to offer, rice terraces, volcanos etc and it’s a beach-heaven! Batanes is quite off the beaten track and you should time it well, but it’s one of the best places in the world if you ask me. At some point we’ll make a list of all places to visit, there’s tons, many that we haven’t even had the chance to visit. Once you decide to go, check this website for that post! I guess I’ll have to visit you guys in the Philippines soon haha every post I click on is filled with places I want to visit…love your work! What a stunning post! The marine life on the ship wreak and the time lapse absolutely amazing. I’m at loss of words to describe the beauty of place and how delicately you’ve captured and presented. The music in videos compliments the subject so very well. Absolutely stunning. Thank you for this post. What a very kind comment, thank you so much, glad you enjoyed it! 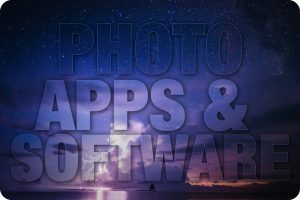 Wow Martien, your pictures are beautiful! The one of the Milky Way is just super impressive. Amazing work! I love this!! The pictures and the videos were so pretty! Makes me want to go there! Interesting post. Didn’t know about this destination. Friend is traveling to Philippines and I am sure to tell him about the same. Many skip Coron indeed, they might not know, everyone knows about El Nido though. The place is beautiful. From the night skies, coastlines to the sunset…magical. Cool, thanks. Have a good time! I absolutely love Philippines, my family are from there. I’ve visited Palawan but never got a chance to go Coron, still on the bucket list. Looks gorgeous! You have something to look forward to then! What an amazing place. I never knew that Philippines is so beautiful. Would love to go there…sigh! 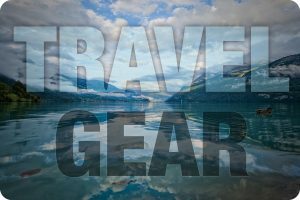 It’s an underrated travel location, full of ‘hidden’ gems! These photos are mind blowing! And the content is very rich. Thank you for the post. Congrats and keep on writing! Thank you so much, that’s very kind, much appreciated! Woah hold on. Snorkeling near shipwrecks? That sounds like an amazingly cool thing to do. I’m about it. im so proud that this place is located in my country. it’s so beautiful right? Wow! I love all your amazing photos! I haven’t been to Coron yet, last time I booked for a vacation there was a typhoon so it was cancelled. Hopefull next time time will come I’m gonna visit this wonderful place and enjoy the bountiful nature’s gift. Happy travel! That’s too bad, but try again! Wow! Your photography and videos are incredibly inspiring! I the new Philippines was beautiful, but the images in this post are making me want to pack my bags right now. Thanks for this comprehensive guide. Amazing landscapes well captured! 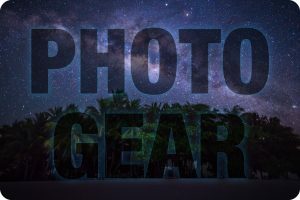 What camera and lens are you using (especially for night time photography)? Thanks, I used a Nikon d750 for those shots. Aerial ones with a Mavic pro. Hi Martien! I actually just wanted to go to Coron last month but read that it’s basically in the middle of the rainy season. Did it work for you? Which month did you go? I was in Palawan for a full month mid March to mid April, I had excellent weather all the time, maybe some cloudy days, but not much rain. I did hear from some people who had very rainy days at El Nido, so guess they were just unlucky. 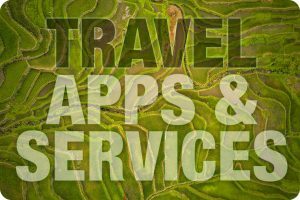 My travel experience when it comes to the traditional dry/wet seasons, is that it’s all been shifting over the last few years, even locals say that. Beginning of the dry season now it often rains, while the wet season may have great weather. You just never know what you’re gonna get!